This Ingraham oak kitchen clock had a terrible looking replacement dial when my customer brought it in. The dial was 3/8 inch oversize and covered too much of the dial pan. She asked me to install a new paper dial. I removed the dial, and found a thick layer of gold paint. I soaked the dial pan in Zip Strip paint remover, and as the paint came off, the original paper dial was revealed! I gently rubbed the paint off and let it soak in the stripper for a couple of hours, then rinsed off the paint and stripper with water. I cleaned and lacquered the original keyhole grommets, and touched up the dial pan with a “gold leaf” pen. 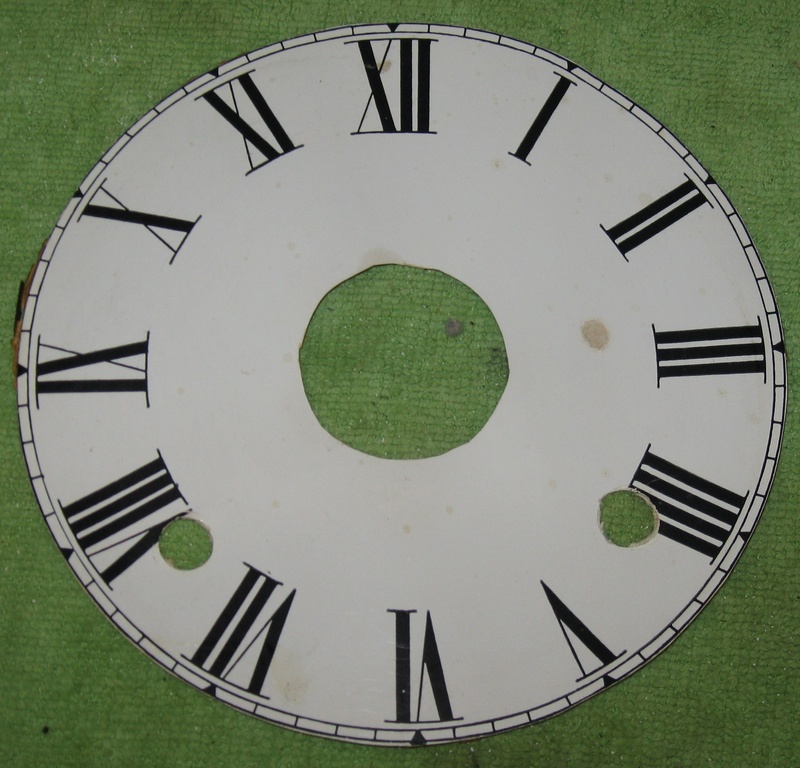 Photos: Left – the incorrect replacement dial after removal; Center – the original face after paint removal; Right – the complete clock. 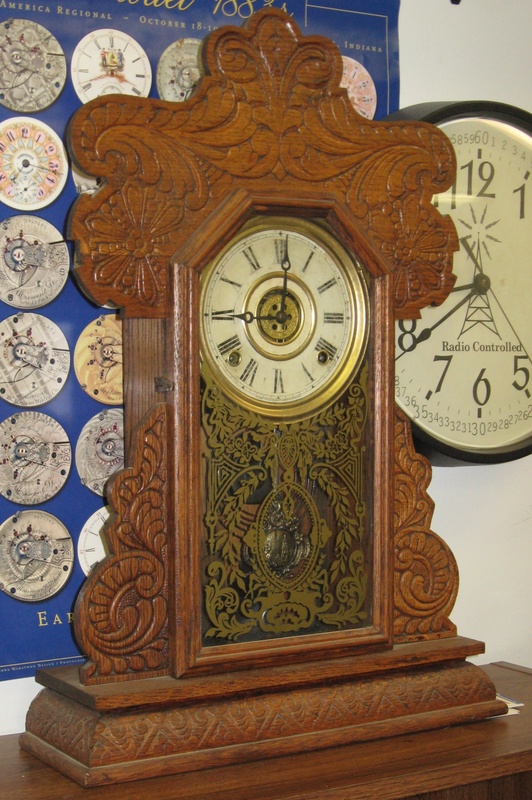 The clock is 22 inches tall and 14 11/16 inches wide. 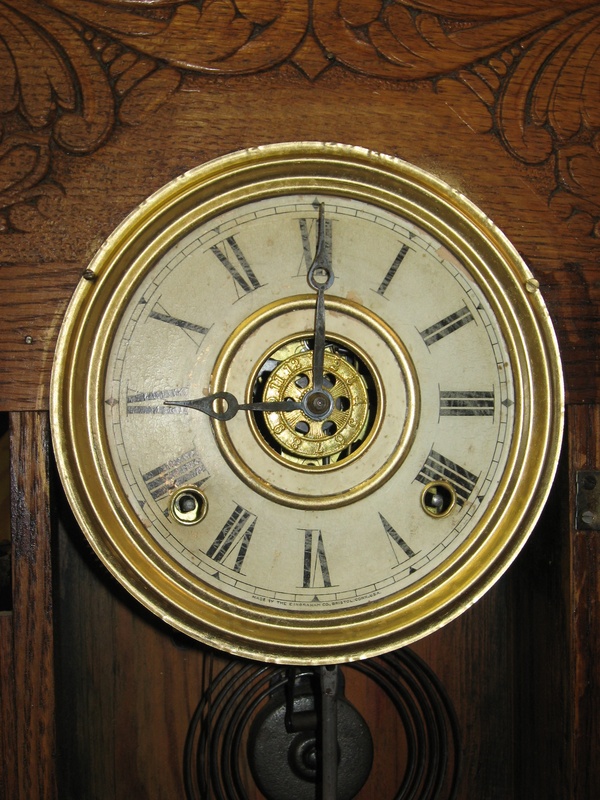 The dial’s minute track is 4 15/16 inches diameter. The minute hand is 2 7/16 inches long. The movement date is 1914. Repair job 6086. Dial only, no movement work.